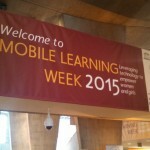 Mobile technology is increasingly becoming a valuable tool that educators around the world are using within their classrooms. When teachers use innovative tools such as a Raspberry Pi, tablets, and mobiles, they can combine them with an offline digital library, such as World Possible’s RACHEL-Pi. What’s the end result? An incredible wealth of information, lesson plans, educational videos, and articles that can be accessed without the need for a reliable Internet connection. 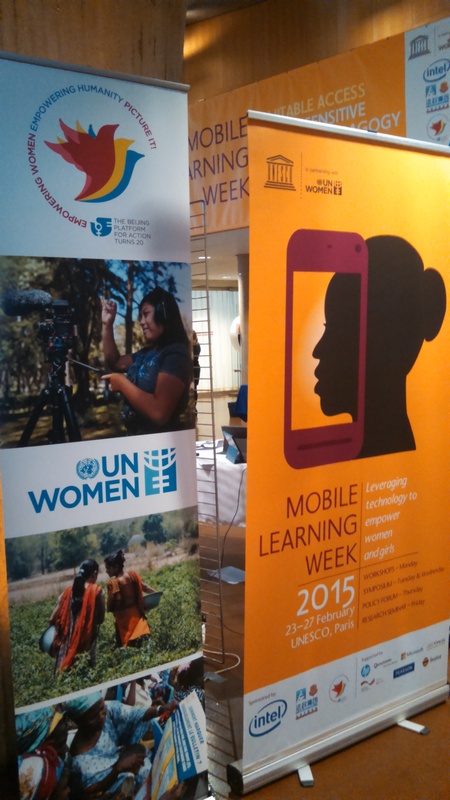 This solution of creating an offline digital library was the main technological solution that Inveneo offered at the recent UNESCO and UN Women conference called Mobile Learning Week. 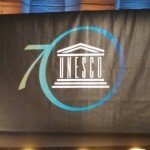 Taking place in Paris, the event was held to connect organizations together that work to improve the status of women and girls through the use of education and technology. 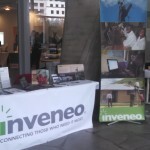 With Inveneo’s experience of 10 years working to connect those who need it most, Inveneo was on board to exhibit its work at the conference. 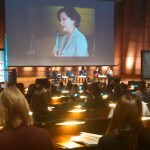 Jana Melpolder, Inveneo’s Media Manager, led the initiative to attend the conference. 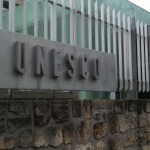 She created a display table which exhibited Inveneo’s ICT projects and technological solutions that are offered around the world. 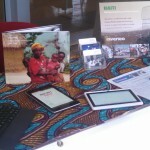 Inveneo’s exhibit table, shown below, showcased the team’s ICT projects with a main focus on Haiti, Uganda, and Sierra Leone. Ms. Melpolder also brought a Raspberry Pi, RACHEL-Pi, Asus laptop, Google Nexus 7 tablet, and Surtab tablet to give an example of what an offline digital library looks like and what it can do for classrooms around the world. Overall she was thrilled to meet so many inspiring representatives at the event who came from great organizations like UN Women, Butterfly Works, and 42 Education. 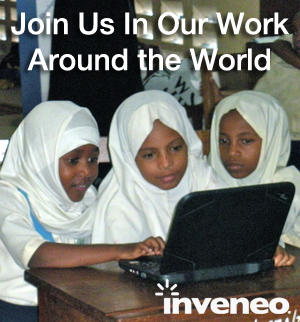 Ms. Melpolder organizes Inveneo’s ever-increasing and dynamic online presence. She previously volunteered with UNICEF USA, where she provided editorial direction to its web team and created its online newsletter for the northwest region of the United States. She is passionate about bringing human rights issues to the forefront through media and technology in the developing world, and she has reported on development programs from several countries including Bolivia, Ghana, Thailand and India. Her writing has been published on the World Vision, Beliefnet, and Twitter blogs. Jana’s educational background includes a B.A. in Anthropology from West Virginia University and a Master of International Development from the University of Pittsburgh.